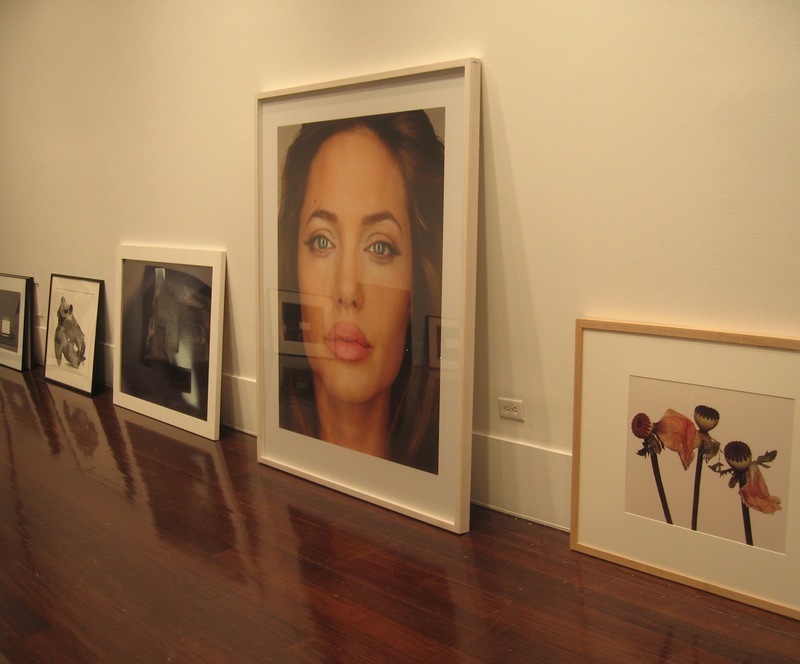 Works of contemporary photography were on the verge of being mounted for an upcoming sale at Christie’s New York location the day I was there. Thanks to an invitation from the Jesters Club, an international squash organization that was celebrating its 75th annual jubilee last week, we had the opportunity to get a behind-the-scenes tour of Christie’s New York location in Rockefeller Plaza with Becky MacGuire, a specialist in Chinese Export porcelain. After visiting the interiors rooms and sitting in on a live auction, we learned that you can actually get some good-quality estate furniture and accents—as well as an incredibly wide range of art and artifacts—for fairly reasonable prices (one woman told us she furnished her entire summerhouse with furniture she purchased at a sale at Christie’s). And thanks to a feature called Christie’s Live, you can now also place bids online. After registering, the online feature lets you track lots, view condition reports, place bids and view auctions in real time. If you’re interested in learning more, visit its Web site. 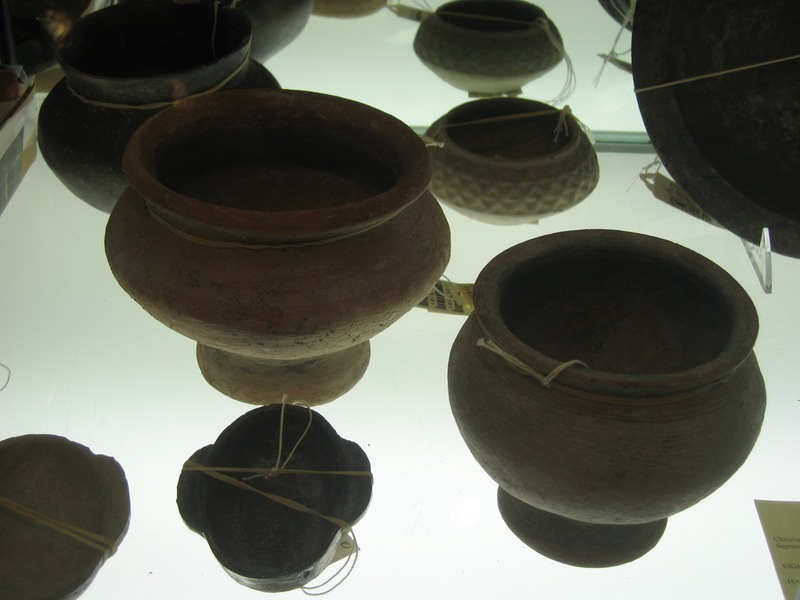 Chinese pottery vessels from the Han Dynasty 206BC-AD220. 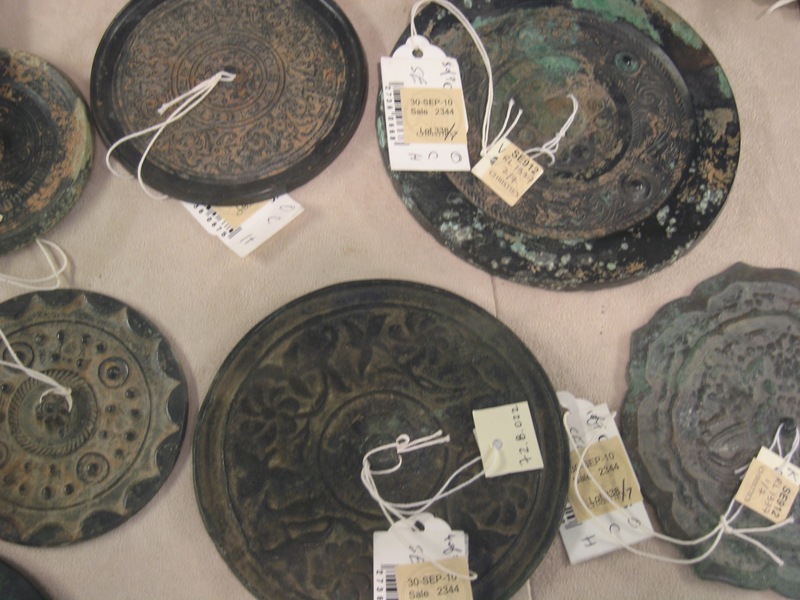 Bronze mirrors—also from the Han Dynasty. Jean- Glad you enjoyed the trip to Christies. Becky was great to arrange it. I like your Web site-it’s interesting and creative.